Before it became world-famous for Pokemon Go, Niantic's only mobile game was Ingress. It was released in 2012, and the primary goal is to take control of portals located next to landmarks in the real world. Even though Ingress never achieved the massive level of popularity that Pokemon Go hit at its peak, the game still has a large amount of active players. In a strange turn of events, Niantic announced that an anime series based on the game is being developed by Yuhei Sakuragi. Takeshi Honda, art director for Neon Genesis Evangelion, is also involved. It's planned to launch in October, alongside the sequel game that was announced last year - Ingress Prime. The show will focus on two characters, Makoto and Sarah, who are affected by the exotic matter leaking from the portals. All the while, a corporation is abusing the matter to experiment on humans. 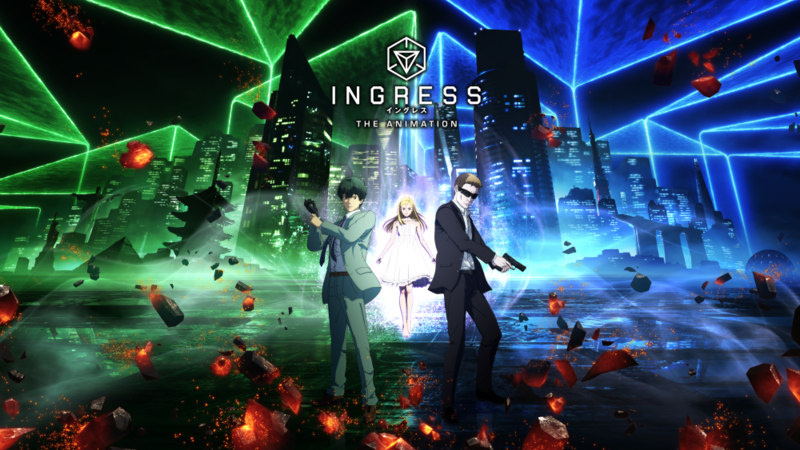 The antagonist of the series will eventually appear in Ingress Prime. There's no trailer available yet, but I imagine we'll see one in the coming months.